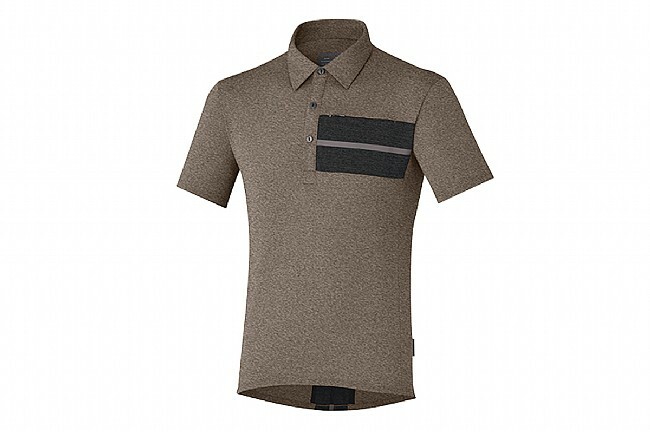 The Shimano Men's Transit Polo features casual styling with a 3-button collar that makes it the perfect option for running errands around town or heading into the office. Made from quick-drying, moisture-wicking polyester, the Transit Polo offers excellent breathability while odor-reducing technology provides a stay-fresh feel. A zippered chest pocket and a hidden zippered rear pocket provide storage for ride goods and essentials while maintaining a casual look that doesn't look out of place when not riding. Great shirt and the size is right on, not too big or too little. Shirt is very comfortable and soft feel on the skin. Fitted shirt is not too big or too tight, moves well as you move. Simple style.